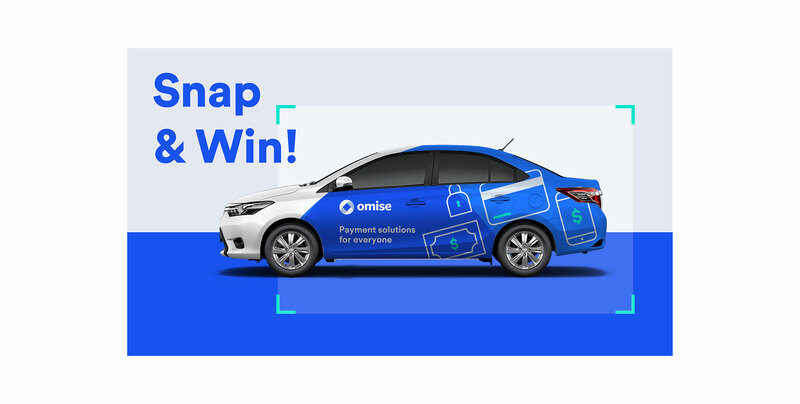 Omise is hitting the streets in downtown Bangkok with a new commercial ad, launching its campaign - “Omise on the road” with a chance to win SF movie vouchers. Watch out for vivid blue ad-wrapped cars driving around the streets downtown as Omise is sending happiness in the very end of the year. We’ll be giving out SF movie vouchers (2 vouchers per winner) to the top 20 photos with most likes. Here's your chance to win, just follow these simple steps! Be fast enough to capture the Omise car. Like us on Facebook at Omise Payment. Post the picture you captured on Facebook. Tag us, and make sure you have privacy settings of the post set to public. The campaign runs from 1 - 20 November 2017. Please make sure you follow our Facebook page, as the winners will be posted on 22 November 2017. Capture me, if you can! Each Facebook account is eligible for a prize of 2 vouchers only. This voucher can be used for deluxe seat type at any SF world cinema, SFX Cinema and SF cinema city. This voucher cannot be used in conjunction with other promotions. Company reserves the right to revoke and restrict the vouchers at any time without advance notice.